If you’ve ever experienced a sharp, stabbing pain in the bottom of your foot, there’s a chance that you’ve had to deal with plantar fasciitis. This condition is one of the more common reasons for heel pain, and one that can be debilitating if you don’t get it treated. Here’s some information on what causes the problem, how it’s diagnosed, and what you can do about it. The plantar fascia is located on the bottom of your foot. This thin but strong ligament supports your arch, and also connects the front of your foot to your heel. Most of us put a lot of stress on the bottoms of our feet, but the plantar fascia does a mighty job of holding up to the pressure – to a certain point. Plantar fasciitis symptoms usually develop gradually. You might first notice a mild amount of pain in your heel bone, which, again, you might attribute to a heel spur. Most people notice this discomfort after a workout session, but not during exercise. 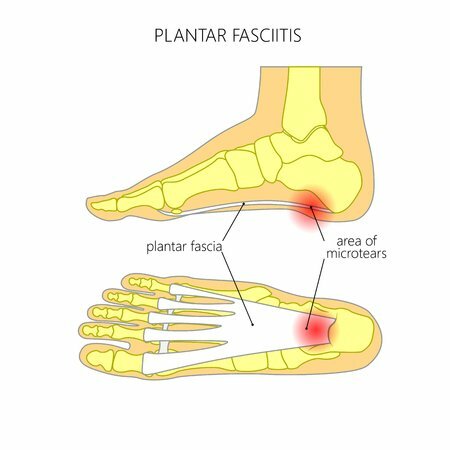 One of the most common symptoms of plantar fasciitis is pain when you first put your foot on the ground as you get out of bed. You might also have discomfort when you get up after sitting for a long period of time. Women are more susceptible to the fascia damage associated with plantar fasciitis.5 If your job requires a lot of standing or walking – particularly on hard surfaces – there’s a good chance that you’ll have to deal with plantar fasciitis at some point. There are both nonsurgical and surgical methods of treating plantar fasciitis. 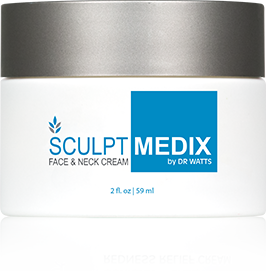 In most instances, the fascia can repair itself with rest and mild medication.8 However, there are times where the condition has developed to an extent that a surgical procedure will be needed. Conservative treatment options for plantar fasciitis include resting the affected foot and applying ice.9 One way to decrease pain is to simply stop performing the activity that caused the problem in the first place. That’s relatively easy to do if you’re a runner, but another thing entirely if your job requires that you stay on your feet all day. Ice may be helpful in reducing heel pain associated with fascia damage. You can roll your foot over a cold bottle filled with ice or water three or four times a day for 20 minutes at a time. Over-the-counter anti-inflammatories could be effective as well. However, if you use this type of medicine for more than a month, and you’re still experiencing symptoms, then your doctor will probably recommend another plan. In addition to rest, ice, and anti-inflammatories, there are several different types of stretching exercises that may help to reduce the symptoms of plantar fasciitis. · Stretching the plantar fascia – This exercise could help bring relief from your heel pain. 1. Sit in a chair and cross the painful foot over your other leg and grab your toes. 2. Pull them toward you slowly. If you have a problem reaching your foot, try wrapping a towel around the big toe and slowly pull upward. Important note: Try to remember to do this stretch first thing in the morning before you do any sort of extended walking or standing. 1. This involves leaning forward against a wall, keeping your heel on the ground while keeping your knee straight. 2. Put your other leg in front and bend at the knee. 3. Maintain this position while slowly pushing your hips toward the wall and hold for 10 seconds. 4. Do this 20 times, switch legs and repeat. 1. Lean forward toward a countertop and spread your feet apart, leaving one foot in front of the other. 2. Then, slowly squat down and keep your knees flexed and your heels on the ground for as long as you can. This will not only stretch the fascia ligament, but also the arches of your feet. 3. Hold the position for 10 seconds, stand up straight, and then do it 20 more times. 1. Put the affected foot behind your other leg. 2. Point the toes of the affected foot toward the other heel, and lean into a wall. 3. Next, keep the back leg straight (making sure to keep the heel on the ground) while bending your other knee. 4. Hold this position to a count of 10 and repeat 10 times. 5. Try to do this three times a day, if possible. There are other conservative treatment options as well. Wearing shoes with extra cushioning might help reduce heel pain. Again, the fascia undergoes a great deal of stress on a regular basis. Wearing cushioned shoes, or using an insert, may relieve some of this pressure. You could also try using night splints to stretch the fascia and help it relax while you’re asleep. If you are still experiencing plantar fasciitis symptoms after a year, your doctor may recommend surgery. The two most common procedures are known as gastrocnemius recession and plantar fascia release. There are a few things you can do to lower the chances you’ll develop plantar fasciitis – especially if you’re active. When you’re running or walking, concentrate on landing on the middle of your foot rather than your heel. This will help reduce tension on the plantar fascia ligament. When you’re running or briskly walking, try to let your upper body lead the way, rather than your legs. Take short strides, and make sure your feet are directly underneath your center of gravity. You should also try to avoid any sort of uneven terrain, such as trails and hills. About 80 percent of plantar fasciitis sufferers typically find complete relief within a year.16 If you have this problem, it’s important to realize that you probably won’t solve the problem quickly. The good news is, with proper treatment, plantar fasciitis will probably improve. And the sooner you treat the condition, the better.